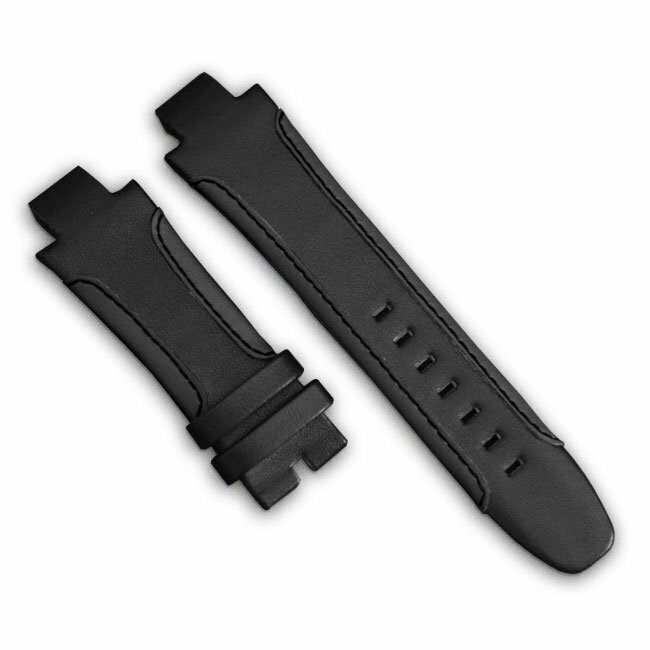 Soft, luxurious, and durable quality black leather watch bracelet for Swiss sports watches Wryst. The black color represents power and authority. This Alcantara leather band is suitable to most Wryst watches and a great addition to your choice of bracelets. All black and hand-stitched, it will suit to perfection the black DLC watch cases from the Motors, Elements and Airborne collections. We would recommend wearing this bracelet for more casual occasions. The all black bracelet solidly built and signed from Wryst is also an alternative for you genuine alligator bracelet sold with the Wryst Automatic 2824 reference. Note this will only fit on the 45 mm watches from the brand and no others. It will integrate greatly and snuggly against the case thanks to the unique screw attachment system. The black DLC square buckle can also be purchased and is sold separately in our online boutique. Please note we discourage using the black leather bracelet for water related activities. It has been designed for more casual wear and special occasions. Fit very nicely the Motors MS1 -- Thank you! This black leather strap fits my Shoreline LX6 in gold much better than the black silicone I was using previously. Thx a lot!